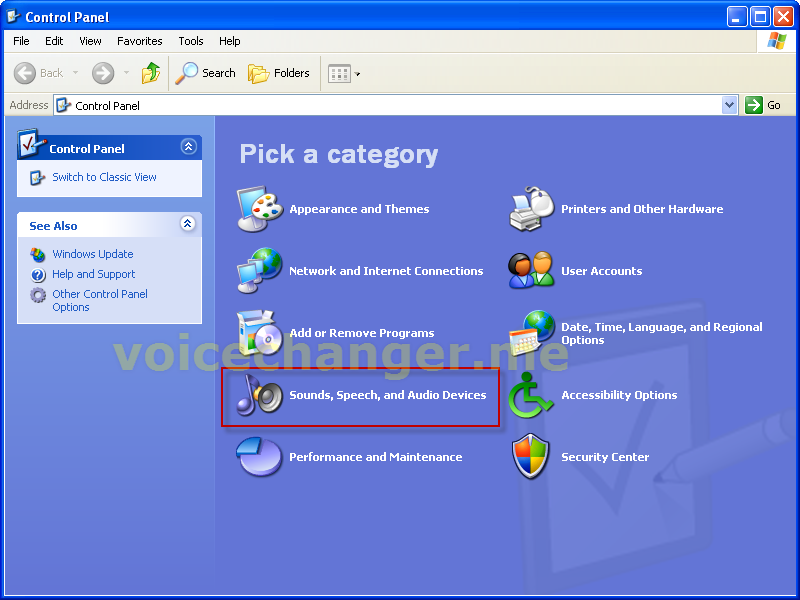 AV Voice Changer Software (7.0 or higher version) has a so-called audio feature: Virtual Audio Driver which can works as any common driver for system's Audio & Sound device. 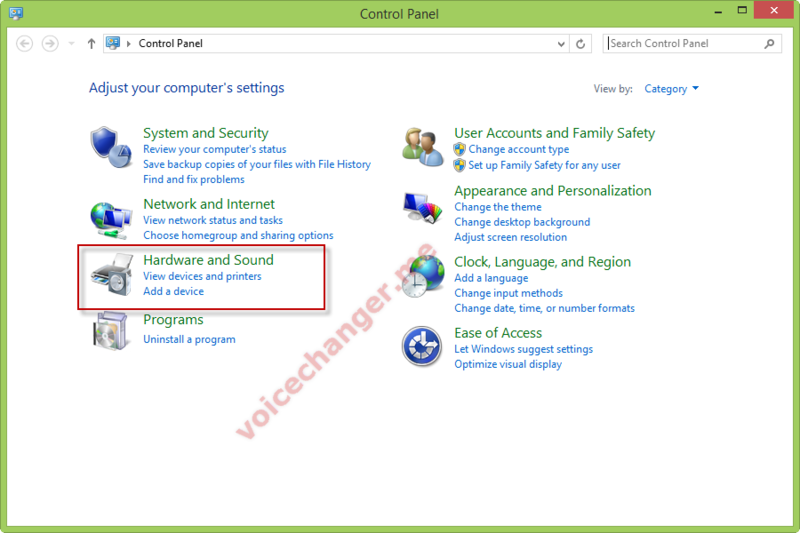 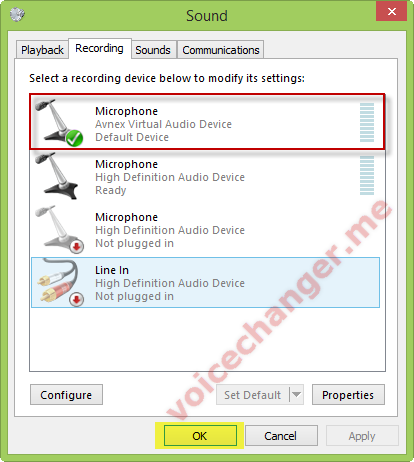 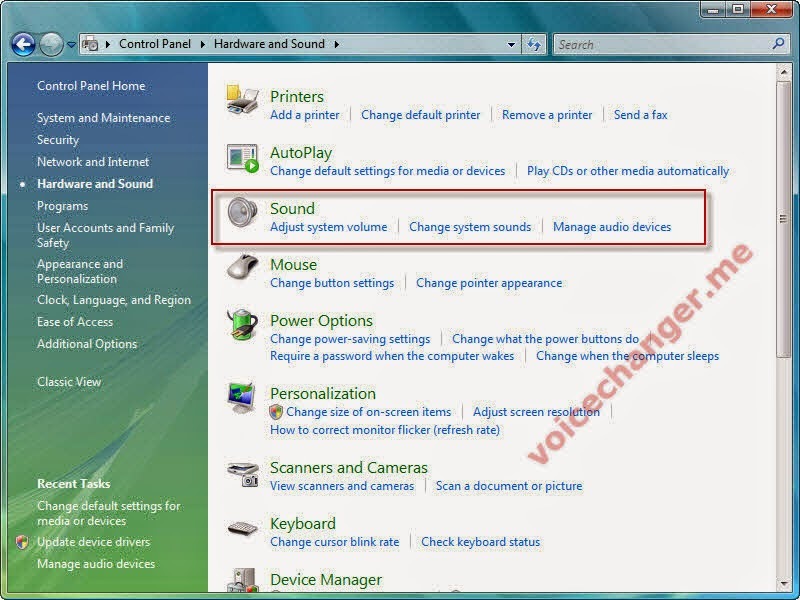 This driver allows the voice changer program to work with any programs in real-time by setting the Virtual Audio Device as default driver for microphone in those programs' audio settings. 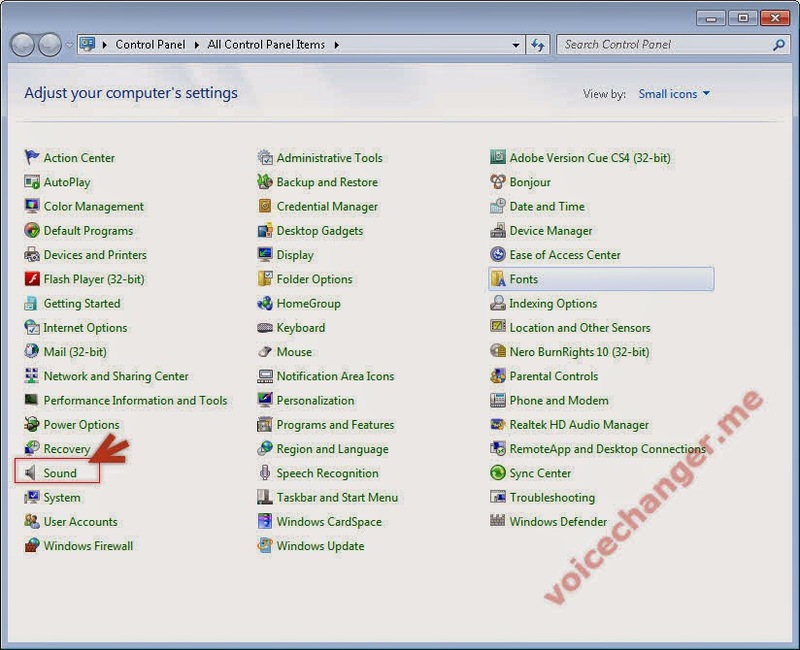 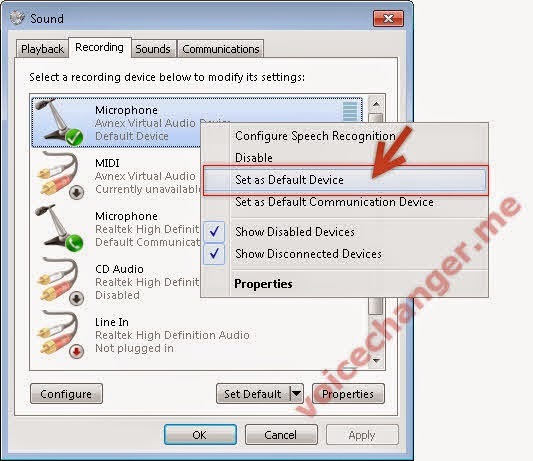 However some programs that does not include such settings for microphone, you'll need to do as follows to set AVnex Virtual Audio Device as system's default audio driver for microphone to be able to control your voice tone and speak the way you want. 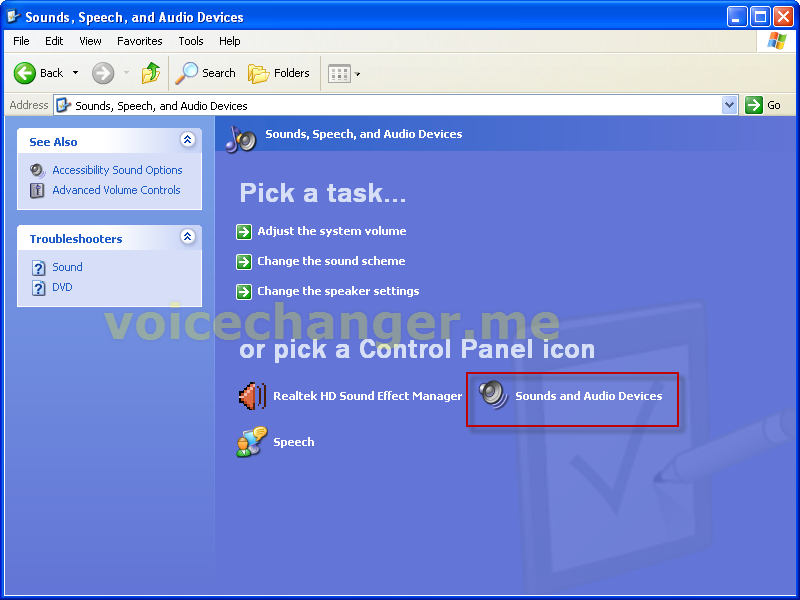 *This post would be useful for games that do not have an in-game voice chat system for example, Battlefield (3,4), Elder Scrolls Online, etc. 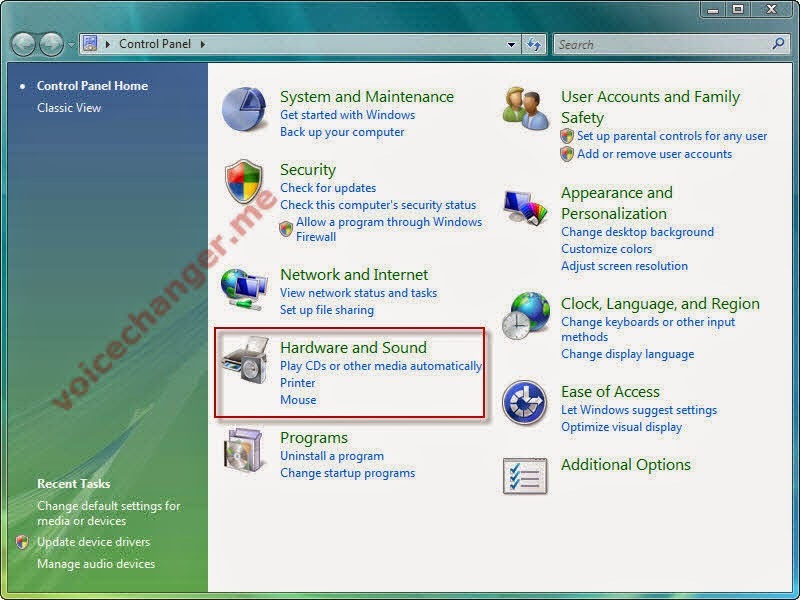 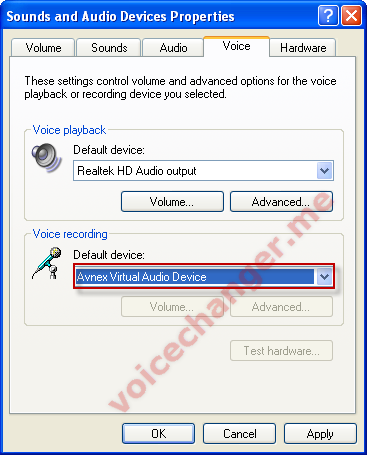 The following describes how to manually set the default audio device to the AVnex Virtual Audio Device from your Windows control panel. 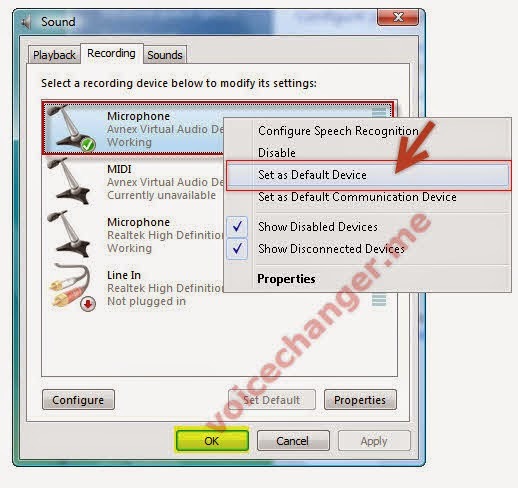 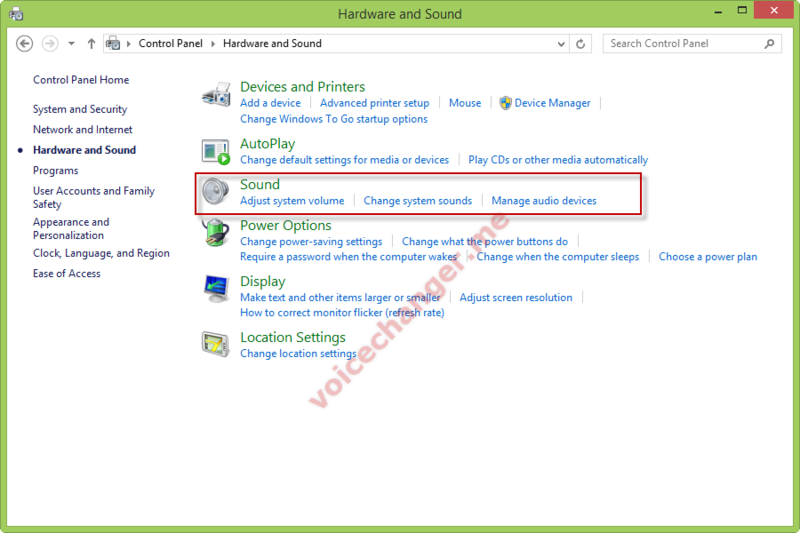 *You can always disable this voice changing device by changing back to your primary sound cards driver. 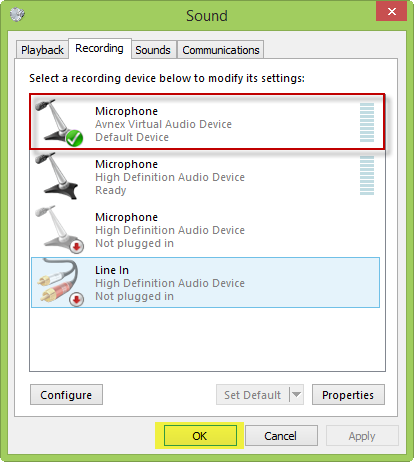 Right-click on Microphone option (with which has a short description as AVnex Virtual Audio Device below) and select Set as Default Device.